Grammar is the study of words and the ways words work together. An invisible force that guides us as we put words together into sentences. Any person who communicates using a particular language is consciously or unconsciously aware of the grammar of that language. To speak in a clearer and more effective manner we study grammar. 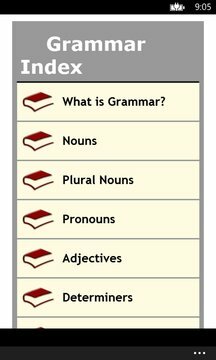 A person who has unconscious knowledge of grammar may be sufficient for simple language use, but the ones who wish to communicate in an artful manner and well, will seek greater depth of understanding and proficiency that the study of grammar provides. 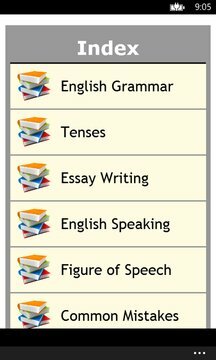 This android application will help to improve your English grammar. Keep this application always in your pocket. give us feedback and join our English grammar communities for more updates.